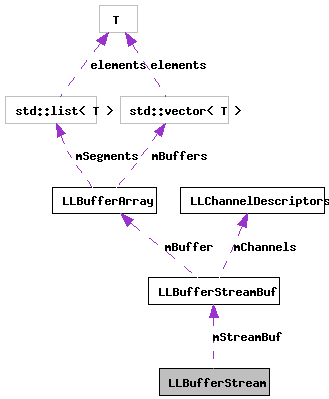 This implements an istream based wrapper around an LLBufferArray. This class does not own the buffer array, and does not hold a shared pointer to it. Since the class itself is fairly ligthweight, just make one on the stack when needed and let it fall out of scope. Definition at line 144 of file llbufferstream.h. Definition at line 337 of file llbufferstream.cpp. Definition at line 346 of file llbufferstream.cpp. Definition at line 153 of file llbufferstream.h.